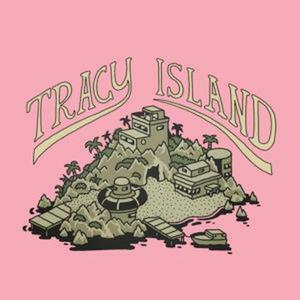 Tracy Island announces Episode 2 of the 10 piece concept series with “The Unlimited”. This time the musical transmission comes from Beach Wizards, the secondary alias of the well renowned collective Seahawks, offering their interpretation of Island mentality. The release opens with the ever growing mood of “The Diamond Sea” - 18 minutes of building disco strings and stabs, rolling bongos and percussion, and intermittent ambience with an A side offering a true listening experience. “Don’t you wanna get off.” Get out the city they called. The B side starts and ends with the lulling sound of midnight waves in a downbeat balearic boogie of rain chimes and head nodding subs. Between these tides interjects “Lucky Dips” on the B2, with melodies from an aquatic saxophone from below the surface.